About 75% of Equitorial Guinea is below the poverty line, but that didn't stop the son of the country's dictatorial leader from buying two Bugatti Veyrons, a Ferrari Enzo and 599 GTO, a Maserati MC12, a Porsche Carrera GT, an Aston Martin One-77, a Rolls-Royce, and a handful of other supercars. He'll probably never see them again. 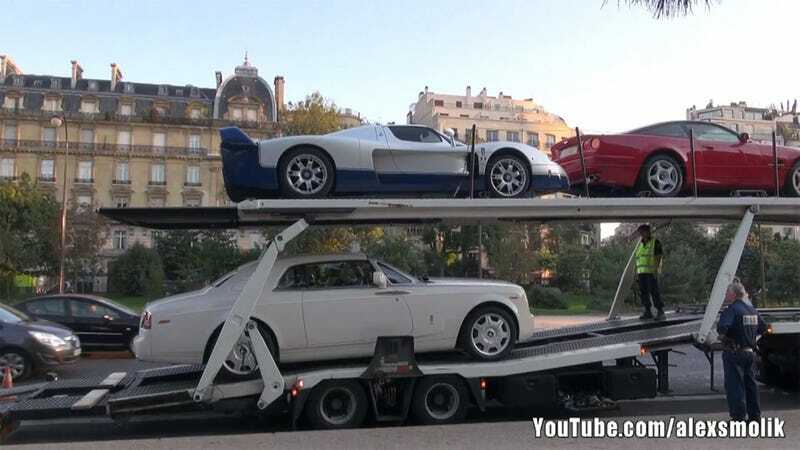 We reported when 11 of Teodorin Nguema Obiang's supercars were seized by French authorities back in September 2011. Today, Reuters reports that Parisian auction house Drouot sold the cars for 2.8 million Euros, or $3.67 million. Teodorin Nguema Obiang ranked as number three on our 'ten worst people with the worst car collections' list, so this sale can only be described as justified.